Victor Mts is the first artist to have an exhibition at the new Pengland space with the 83 vertical possible thoughts. The idea behind the 83vpt is about using two simple geometric figures, circles and rectangles. With this combination create the shape of a person, and with this shape create other objects or situations. Why vertical? That is just his own vision, it fits vertical better to his brain. 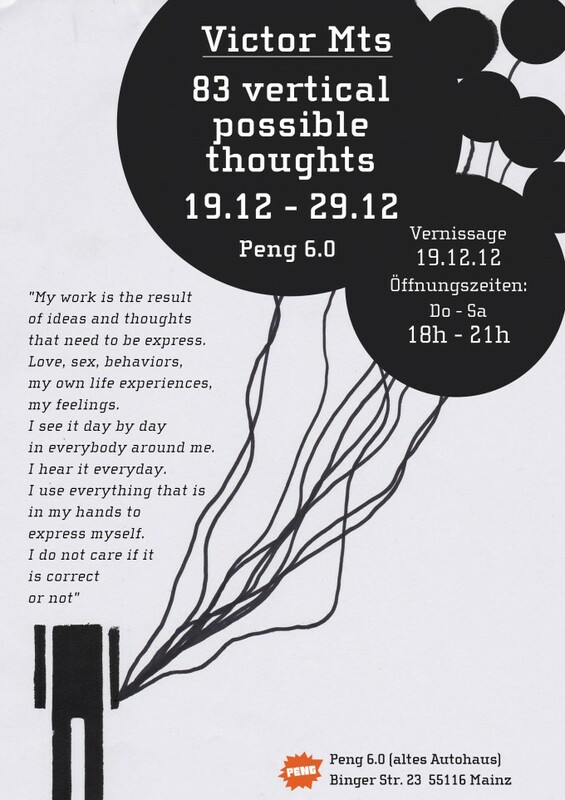 The horizontal thoughts are coming soon, a few could be seen at the exhibition too. Victor Mts will show too a few other works.